lasting impression on your friends and family. wanted to include them in your big day. as napkin rings to inform the guests of their gift. to their local Humane Society with dog bone-shaped cookies. and a custom sticker explaining the donation. with handwritten tags placed at their seats. 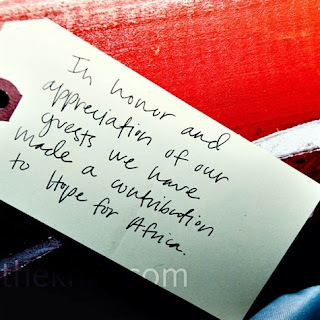 the donation were put on top of the place settings. pick which one means the most to them like this couple did from Chicago. 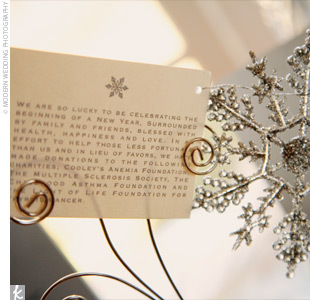 with a silver snowflake attached. 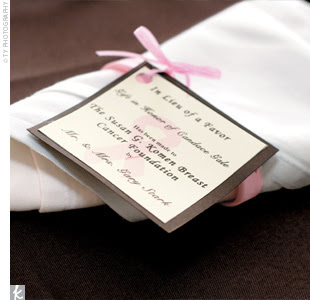 We love the idea of sharing your wedding day with those in need. how you are making a difference. 1. Photo by Affordable Party Photo. 2. 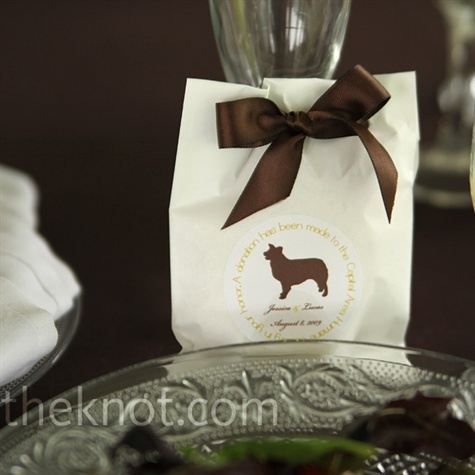 Favors by Shorty's Cakes-N-Bakes, Photo by Jessica Cornman Photography. 3. Vendor: Hope for Africa. 4. Photo by The Shooting Gallery Photography. 5. Photo by Dayna Schroeder Photography. 6. Photo by Modern Wedding Photography. 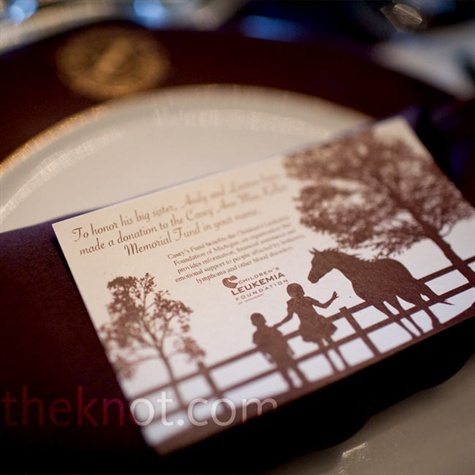 All photos via The Knot.